KESO is one of the most renowned cylinder manufacturers in the world which, based in Switzerland, has a long tradition of manufacturing high-end cylinders. Today the most modern technology joins the accumulated experience to offer products that will satisfy the most demanding customer. The KESO 4000S Omega PREMIUM cylinder has the highest safety rating by the German control agency VDS, obtaining in all tests the degree BZ + loosely. The cylinder is operated by a copy protection key, with a patent until 2023 and an active pin in the key itself that makes it copy protected by its patent and also because the omega pin inserted in the key makes it physically unable to be copied. Body made of high-resistance chrome-nickel steel. Connection bar made of high-resistance chrome-nickel steel. Rotor with anti-extraction systems effective and revolutionary. Real antibumping system, the key with the maximum depth in their carving is drilled and is not able to operate the pins. 14 pins all of steel. 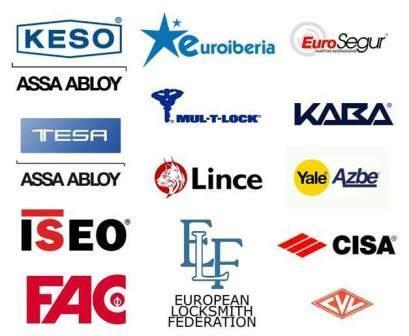 If you aspire to the best and at a cheaper price than other High Security cylinders, do not hesitate to come to Juanjo Cerrajeros Alicante and take a KESO 4000S Omega PREMIUM cylinder. Juanjo Cerrajeros Alicante, your security specialist.